In the US, the American Library Association (ALA) has announced the winners of its Youth Media Awards, including the Newbery and Caldecott medals. 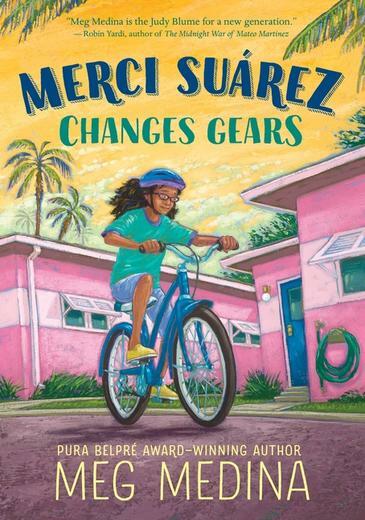 Meg Medina’s Merci Suárez Changes Gears (Candlewick) was awarded the 2019 Newbery Medal for the most distinguished contribution to American literature for children. The book follows 11-year-old Merci as she balances her identity as a scholarship student at a private school with her much-loved Cuban-American extended family. The 2019 Randolph Caldecott Medal for the most distinguished picture book went to Australian-born illustrator and 2016 Caldecott winner Sophie Blackall for Hello Lighthouse (Orchard Books), about a lighthouse keeper and his family watching the seasonal changes around them. Elizabeth Acevedo’s The Poet X (Egmont) was the winner of the Michael L Printz Award for excellence in young adult literature, having already picked up a National Book Award in 2018. The Stonewall Book Award for books on lesbian, gay, bisexual and transgender experience went to two books this year: Julián Is a Mermaid (Jessica Love, Walker) and Hurricane Child (Kheryn Callender, Scholastic). The Schneider Family Book Award, for books that ‘embody an artistic expression of the disability experience’, went to three books in different age categories: Rescue & Jessica: A Life-Changing Friendship (Jessica Kensky & Patrick Downes, illus by Scott Magoon, Walker), was the winner for young children (ages 0 to 10); The Truth as Told by Mason Buttle (Leslie Connor, HarperCollins) won for middle grades (ages 11-13); and Anger Is a Gift (Mark Oshiro, Tor Teen) won for teens (ages 13-18). Winners and honour books in each category of the awards are available on the ALA website. Winners were announced at the ALA Midwinter Meeting, which was held in Seattle, Washington.